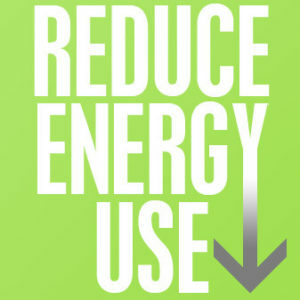 Reduce Energy Consumption – Consumers are trying to reduce energy consumption more and more everyday. As prices for oil rise, there is a direct impact on all of our pocket books. It is much more motivating these days to reduce your consumption. Put some of that money right back in our wallets. How can we do that ? Well we believe the answer is to systematically look at everything that we do these days. Evaluate how we can reduce the amount of energy we use and thus save money that can be used for other things. The major areas were we all use energy includes our cars, our homes and where we work. We will discuss each of these in a little more detail. We want to give our readers some ideas about how they can go about reducing their energy consumption and save money as well. When you put money back in your wallet it is a really good feeling. It can be used for other things. We read recently that 76% of Americans are living from paycheck to paycheck. Which is a very risky thing when you think about it. Any money that can be saved on your monthly costs can go to meet other cash requirements. Almost everyone has a car these days and they have become so complex that the average person cannot begin to understand them, let alone work on them. The computer in the car looks after everything and runs the car as efficiently as possible given what it has to work with. And that is the point that we would like to make in this post. Using the right kind of gasoline, making sure your tires are properly inflated and driving in a manner that conserves energy vs. driving erratically can save a great deal of gasoline and allow your car to deliver better mileage per gallon of gasoline. Jack rabbits starts and stops, driving well over the speed limit and driving with under inflated tires all takes a great deal of gasoline. Try driving carefully for one gas tank full vs. the way you normally drive and see what the difference is. You probably will be able to go a lot further than when you drive normally. Also consider taking the bus, car pooling or just walking or taking your bike. These all can save you a great deal of money as well and conserve energy at the same time. We have discussed many different ways or reducing energy in your home on this blog. Improve your insulation, caulk windows and doors, make sure your insulation is at the proper level and turn down your thermostat in the winter and up in the summer to reduce energy consumption. If you have not already upgraded to high efficiency furnace and water heater, it may be time to do so. There may also be subsidies and assistance to consumers in your area that will help pay for these upgrades. Old furnaces are only at 67% efficiency while new ones are at 95% or better! Close blinds in the summer time to reduce the amount of sunshine heating up your home. Open blinds and take advantage of the sun in the winter to help heat your home. We included this topic in the post because we can all do something to reduce the energy consumption at work as well as our travel to work. Car pooling to get to work, taking the bus to work all helps you in your own personal pocket book. Improving energy use at work can also help with company budgets and not only make the company more profitable, but in doing so, make sure you have a job for a longer period of time in today’s market place. Cost of energy use must be paid for which means more product must be sold. Anything you can do to reduce costs in this area will mean less pressure on other areas and make life easier for all.